Does Cryptocurrency Have a Green Future? Since Bitcoin first appeared on the scene a decade ago, attitudes towards cryptocurrencies have been mixed. Some have responded enthusiastically from the very beginning, others dismissed the concept out of hand. For most people however, the overriding feeling has been one of caution. While the soaring value of Bitcoin has left many of its earliest proponents feeling vindicated, its evolution has not been entirely good news. Bitcoin seems to have successfully fended of the negative press that came from its association with illicit markets. Bitcoin first gained mainstream prominence, and infamy, as the exchange medium used on the dark web, where it became an anonymous payment method for purchasing drugs, guns, and worse. However, in the time since, Bitcoin has proven itself as a legitimate digital currency. It can be used to purchase an increasing range of goods and services. There are even services out there that allow people to pay their household utility bills using cryptocurrencies, including Bitcoin. While Bitcoin might have successfully shed its image as being only used by criminals, it has another image problem developing. 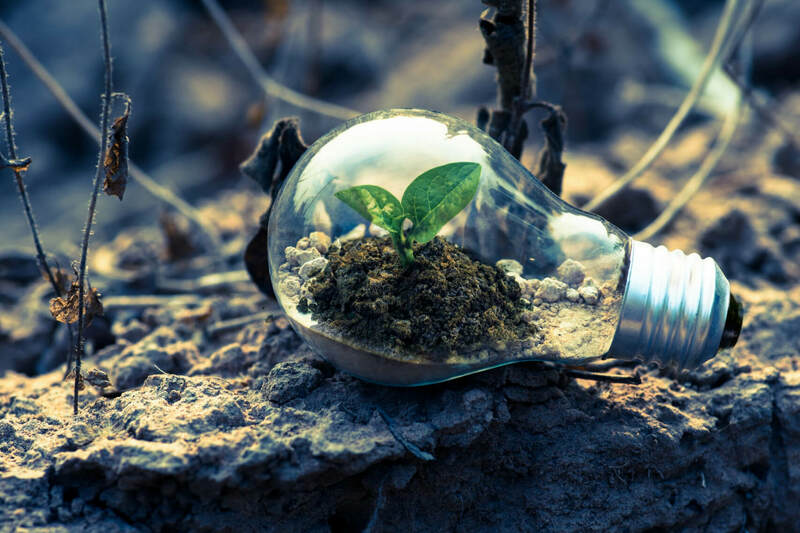 There is a growing awareness that Bitcoin mining, the process by which new coins are added to the network, is having a significant environmental impact. While the precise numbers are difficult to calculate, given the multitude of hardware combinations a mining operation might employ, but one study implies that Bitcoin mining is drawing as much electricity as a small country. This would be a problem at the best of times, but given that there is such a great general awareness of the environmental challenges our planet is facing, now and in the near future, this kind of image problem could prove to be Bitcoin’s undoing. During the early days of Bitcoin, when it was largely facilitating illicit trade, there weren’t any other cryptocurrencies to compete with. Now, however, there are plenty of coins out there, each with their own unique features and intentions. Many of these coins aim to address perceived weaknesses and issues with Bitcoin, but until now, the environmental concerns have not been chief among them. In the last year or so, we have seen a number of coins emerge who promise a greener and more sustainable approach than Bitcoin. Whether this is because they do away with mining altogether, as is the case with Nano (NANO) a coin which is not mineable, or because the coin which rewards environmentalism over energy consumption, such as EnergyCoin or SolarCoin. SolarCoin’s creators describe it as being “like air-miles for Solar electricity generation.” The coin is aimed at those who are already utilizing solar power in their homes or businesses. The total reserves of SolarCoin represent 97,500 Terawatt hours of solar-energy. SolarCoin represents an exciting new approach to encouraging environmentally-friendly behavior, but there are catches. For one thing, SolarCoin is heavily centralized. This is necessary for the coin to do what it does, decentralized distribution would make it very difficult to certify the supply chain, even with blockchain behind it, and ensure only legitimate users receive to coin. Despite SolarCoin’s obvious merits, some corners of the crypto community consider centralization, no matter how justified, to be anathema. EnergyCoin utilizes a slightly different approach to achieve similar results. EnergyCoin is designed, as many cryptocurrencies are, to be a platform first and foremost. The idea of building apps on a blockchain in the way we build apps for Android and iOS might seem strange, and can be difficult to get your head around. If you want to see what we mean, check out Steemit. Steemit is a social media site built on blockchain technology. Anyone is free to make an app that can read and write to the Steemit blockchain, thus allowing apps that can view Steemit, and post articles. The platform offered by EnergyCoin is design to facilitate the transition from fossil fuels towards renewable energy. EnergyCoin seems to have gone rather quiet since the end of 2017, but even if it has gone the way of vaporware, the underlying concept is sound and represents the current line of thinking when it comes to making cryptocurrency sustainable. Of course, a coin doesn’t have to be focused entirely on the environment for it to be green. We mentioned Nano earlier. This is a coin that involves no mining, and which is incredibly lightweight. Combined, these properties make it a far more environmentally friendly choice than Bitcoin. With the world waking up to the importance of environmentalism in general, and Bitcoin’s effect on the environment specifically, the time seems ripe for a green revolution in the crypto world. David Sail is the lead cryptocurrency analyst at https://mineable.com. Having spent the last 4 years as a professional equities trader, David has turned his sights to cryptocurrencies in early 2017 and is now managing his own website focused on news, guides, crypto mining and price analysis.